What’s the key to making it happen? Keep it simple and consistent. Start where you already are. You don’t necessarily have to start from scratch. You’re probably already working with donor segments to some extent, perhaps by gift size (major-donors) or by recency of giving (new donors or lapsed donors). Make a list of those groups. What targeted communications did you provide? 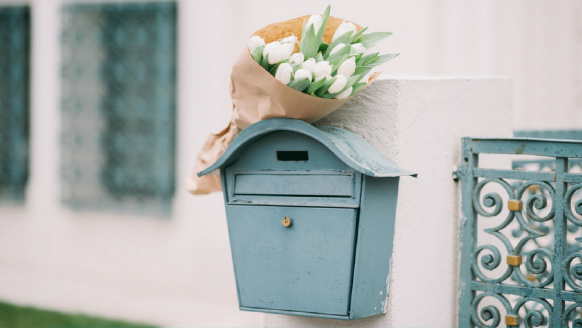 Did you send you new donors a special welcome packet, for example? You’ve already got a great start. Before you begin working with additional segments, make sure you’ve looked at the results of those targeted communications. For example, did you check to see what percentage of those new donors from two years ago renewed the next year? Perhaps you sent a follow-up appeal to your annual event participants. How many of those responded with a gift? Set aside a day or two to consider what you are already doing, and see what you can learn by digging deeper into those groups. Most importantly, make sure to record any data you create. You’ll need it next year to demonstrate how much you’ve improved! Take inventory of your donor segments. Once you’ve got a good grasp on your current segmented activity, time to come up with other priority segments. First, do a bit of exploration. Within your database, are there significant numbers of donors or prospects who have a common reason for supporting you? Might they benefit from some targeted cultivation? These are likely good groups to manage as a donor segment. Make a list. For example, a hospital may notice that many donors gave a memorial gift in response to an “in-lieu-of-flowers” request from a family member of a patient. This group will respond better to a targeted, personalized appeal than by being lumped into your general renewal appeal. Make a list of constituent groups for your organization. Since it is unlikely that you’ll have the time and resources to work with every possible segment on your list, commit to 1 to 2 groups — just for now. Brainstorm new ways to reach out to them, whether it be a targeted appeal letter, a telephone call to check in, or a handwritten note on your next printed newsletter. Pick 1 to 2 of your best, most manageable ideas and incorporate these activities into your annual giving plan/ calendar. Reach out to pet adopters from last year with a special appeal on the anniversary of the adoption. First-time gala attendees will receive a letter thanking them for attending and for their support. They will also receive a special appeal during the year-end campaign acknowledging their gala support and inviting them to make an additional, year-end gift. Notice how they selected what they felt were their two most important constituent groups. They aren’t trying to target everyone right away. Track responses to your newly implemented activities and analyze their success. Arguably, the most important part of donor segmentation is data you are able to gather from working in smaller groups. Over a period of time, you’ll begin to learn the source of your best donors, identify your most committed donors and understand which donor communications strategies are most effective. Set aside two days at the beginning of your fiscal year, to review your donor segments. And again, don’t forget to log it down where it can be located quickly next year. Annual Appeal Workbook is Now Available!